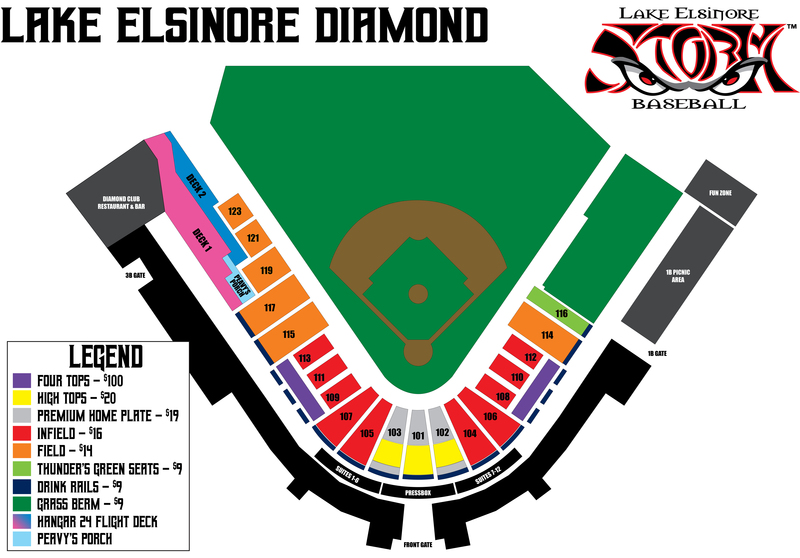 Don't miss the Storm Party in the Park, brought to you by the City of Lake Elsinore, as the team unveils a new identity to be worn for 10 home games during the 2019 season! This FREE event will include music, folklorico performances, inflatables, food trucks, and opportunities to purchase brand new Storm merchandise and get your tickets for the upcoming season. The FIRST 250 FANS will receive a FREE hot dog, chips and drink voucher good for a 2019 Storm game! PARKING: We recommend the lot on Suphur St. & S Main St. or the lot on E Heald St. & N Main St.
Join us for our 13th annual Sip N' Swing Pre-Season Party, presented by Caron Construction and The QuietCool Guys! This FREE event includes on-field batting practice, inflatables, stadium tours, a chance to sip on some cold beverages and much more!